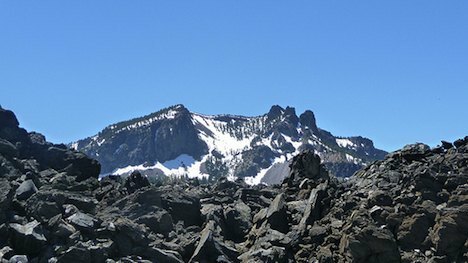 A new project flanking the Newberry volcano in Central Oregon could take geothermal energy development to the next level. AltaRock Energy, Inc. of Seattle and Davenport Newberry Holdings LLC of Stamford, Connecticut have just received private and public funding totalling $43 million to funnel 24 million gallons of water into the side of the dormant volcano this summer. The project has attracted support from the Department of Energy and Google, and seeks to prove Enhanced Geothermal Systems (EGS) can be reliably deployed on a large-scale. Enhanced Geothermal Systems are deployed in places with hot rocks, but no cracks or water to deliver steam. By pumping liquids into rock formations in these areas, engineers can gather the subsequently generated water or steam to power a turbine and generate electricity. However, the successful uptake of EGS has been hampered by two primary issues: technical feasibility and concerns that pumping pressurized water deep into the ground could trigger earthquakes. Already, two projects have been stopped in the US and one in Switzerland over earthquake concerns. However, geologists claim that the area around the Newberry volcano exhibits very low levels of seismic activity – a “seismic dead zone.” This is because the area contains no significant faults and multiple-layers of volcanic ash would dampen any shaking. If the initial drilling process goes well in 2012, a new plant could be constructed in the area in about 10 years. The project can also set the groundwork for future EGS projects in the US. A recent study from the SMU Geothermal Laboratory revealed that there are enough geothermal resources in the US to produce over three million megawatts of renewable power. Tapping into even some of these resources could provide a substantial contribution to green energy production in the country. What are your thoughts on geothermal energy? Do you think it will become a more dominant source of renewable energy in the future, or will it be overshadowed by other forms of green energy (e.g. solar and wind)?